My current work is web site design, focused primarily on back-end digital asset management tools for photography and other image-related concerns. The following are examples of the visual end of some of these jobs. 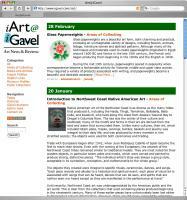 iGavel was looking to add a newsletter to their website, as a feature to highlight different types of art coming to market in the online auction world. The design called for a very simple to use blog-style interface for the editors and an interface that would blend in seamlessly with established colors and layout of the site. 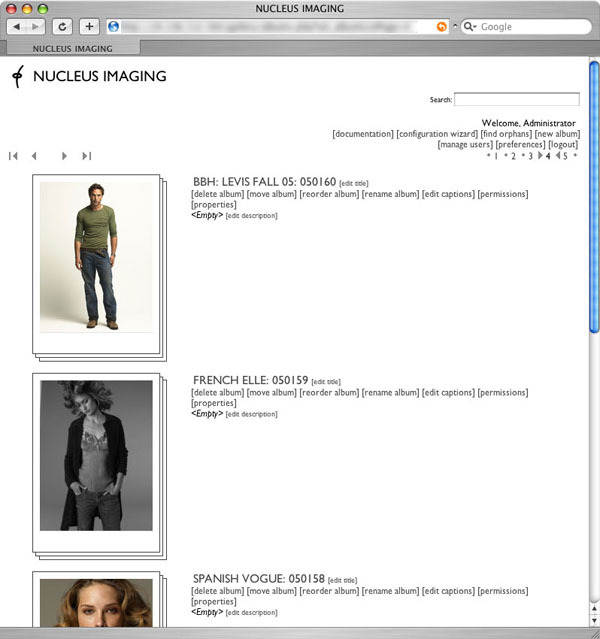 Nucleus needed a web access site for their clients, and wanted something as stripped down and spare as possible. They didn’t want fluff, extraneous design or features. The end result is an extremely clean and fast shot gallery. Ok, this one is a bit of a self-promotion, as the client is myself. 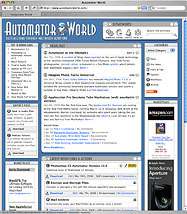 Automator World was a ground-up design, with the major design elements being based primarily on Apple’s Automator interface, modified slightly to make best use of the web environs. 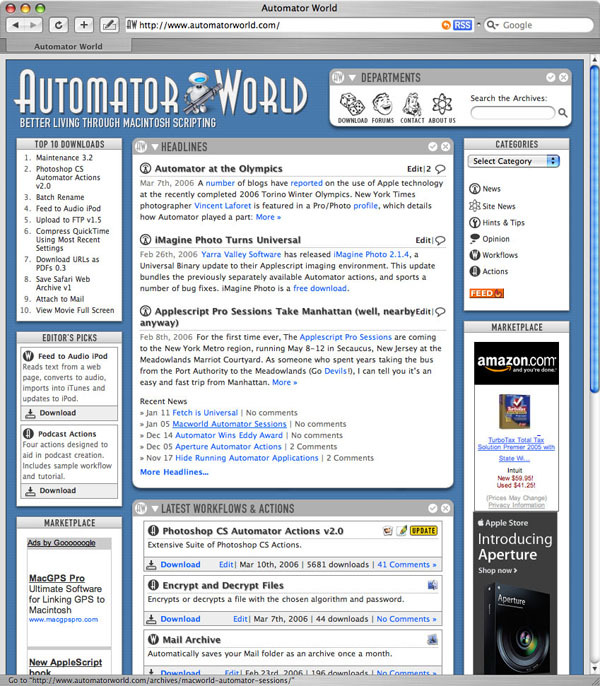 The palatte is a simple grey and white, with blue elements that play off of the eye glow of the Automator icon. 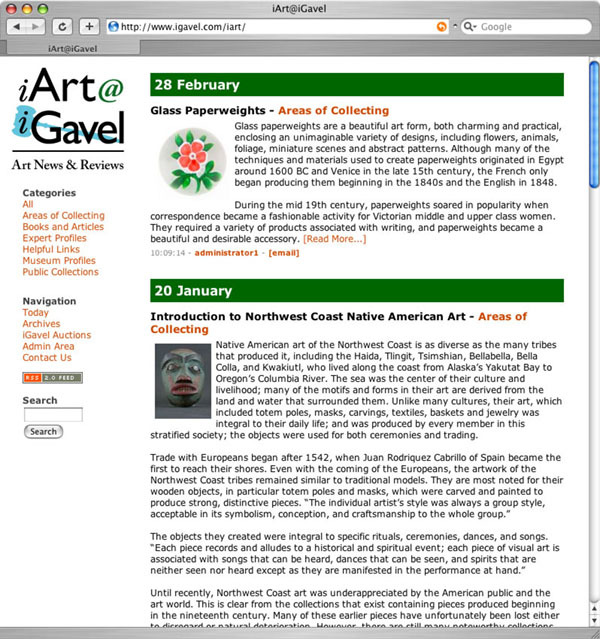 Copyright ©2005-2006 Steve Weintraub. All rights reserved. 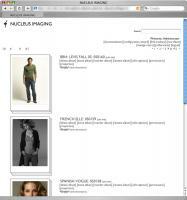 | Contact | re:Dalahus | 33 queries. 0.100	seconds.